Welcome to the home page of the Invasive Tunicate Network (itunicate). 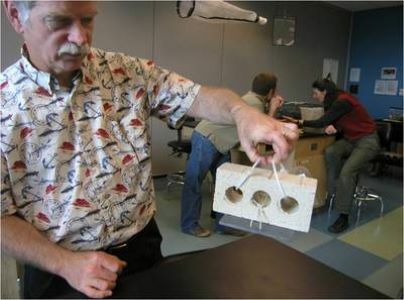 We are a group of teachers, students, outdoor enthusiasts, environmental groups and state and federal biologists who are monitoring for non-native tunicates and other invasive species along the U.S. West Coast, with a primary focus on Alaska. Species of specific interest, or 'target taxa' are non-native marine invertebrate species currently present in the southern sections of the US west coast and physiologically capable of colonizing waters further north, such as Alaska. 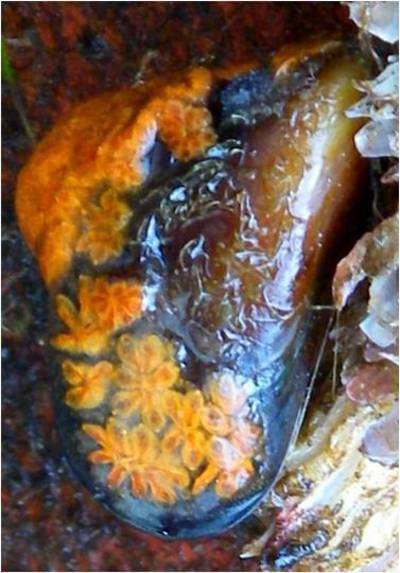 They include 3 species already recorded in Alaska, Botryllus schlosseri, Botrylloides violaceous, and Didemnum vexillum, and several species that have not yet been recorded in Alaska including Styela clava, Ciona intestinalis, and Ciona savignyi (tunicates), Watersipora subtorquata (bryozoan), Carcinus maenas (green crab), and Undaria pinnatifida (Asian kelp). Alaska has thousands of miles of coastline and very few invasive marine species. The network seeks to engage citizen volunteers in the collection of critical background data on invertebrates in these areas, to facilitate the early detection of invasive marine species. Species targeted for monitoring include 8 marine species invasive in California with the potential for significant impacts in Alaska, including recognizable plants, marco-algae and invertebrates. Through on-line field guides, resources and supportive networks, Invasive Tunicate Network volunteers learn how to identify the target non-native species and quiz themselves on their knowledge, and they can manipulate data and participate in discussions with other volunteers. The Network and website is coordinated by the Smithsonian Environmental Research Center, in collaboration with Sarah Cohen and San Francisco State University. If you are interested in getting involved, contact the network coordinator, Linda McCann at mccannl@si.edu. The Invasive Tunicate Network utilizes settlement plates to collect target species. Clean PVC plates are deployed from piers and floating docks 1-4 times/year, for 3 – 9 months, retrieved, photographed and specimens of interest are collected and preserved for confirmation by expert taxonomists. At each deployment date, participants also measure water temperature, salinity and turbidity and take notes on nearby land and water activities. To better understand how invasive species in Alaska are related to their counterparts in other parts of the world and the transport mechanisms that bring them to Alaska, samples of selected invasives are also being collected for genetic analyses. 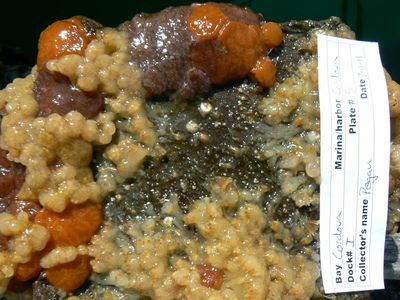 For each volunteer, the Invasive Tunicate Network provides an opportunity to learn about collecting scientific data, and the marine invertebrates living in the sea nearby. The network trains volunteers to become stewards of Alaska’s coastal habitats. Image of Botryllus schlosseri on a mussel courtesy of Heather Meuret Woody.